Yep. After many years of debating whether or not to get one and waiting until the time is right, I am now the owner of an iPhone 4S. 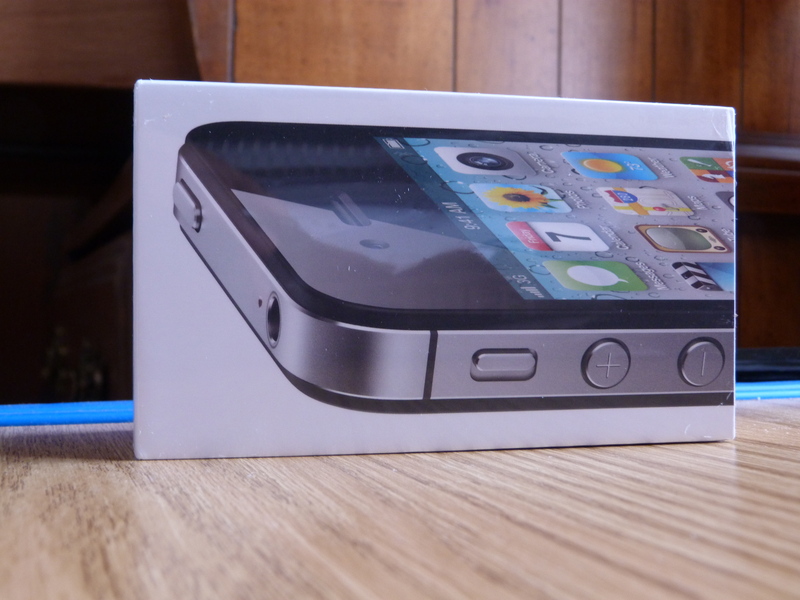 Though what’s interesting is the fact that this is the second iPhone I’ve had in my possession in the past week or so. Originally, I went with Sprint. I did some research and found out that Sprint’s 3G speeds weren’t too much slower than Verizon’s. And then there was the fact that, for $80 a month plus taxes and fees, I wouldn’t have to worry about running up against a data cap because Sprint offers unlimited data. And then I got the phone and tested the 3G speeds. 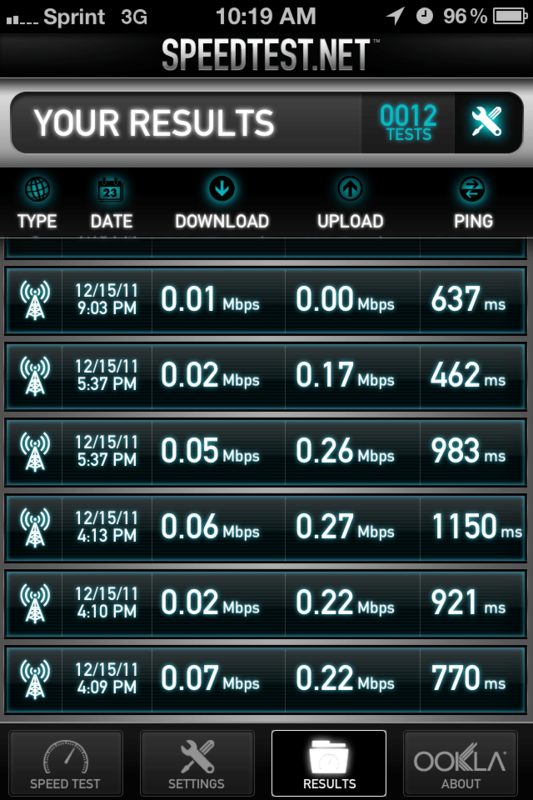 As it turns out, their 3G speeds are MUCH slower than Verizon’s. Unacceptably slow. See that image? Notice the .01 Mbps speeds up there? 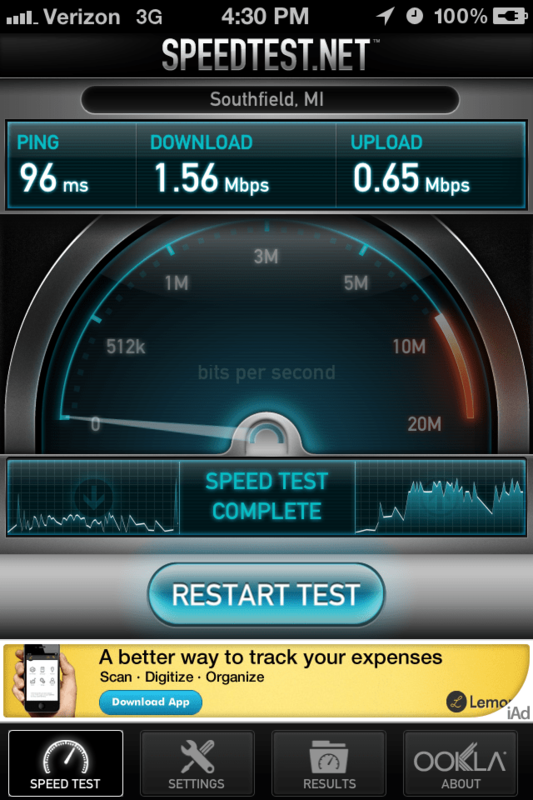 Notice how the HIGHEST speed in that picture is a measly .07 Mbps? As soon as I saw that, I wanted to write this off as a temporary issue that would be resolved in the coming days. Maybe they were just working out the kinks. Maybe the antenna needed time to “burn in” or some nonsense like that. Then I did some research. Immediately, this thread on the Sprint community forums popped up and with more than 2,000 posts and upwards of 458,000 views, I was immediately convinced that this was not an isolated issue. This is an all too common problem that has been going on since Sprint got the damned iPhone back in October. So, knowing Sprint has a 14-day trial period in place, the Sprint iPhone has since been packed up and is now on its way back to Sprint. Now, I have an iPhone from the carrier that I should’ve gone with in the first place, Verizon, and I love it. No, I can’t surf the web while talking on the phone and the 3G speeds aren’t quite up there with AT&T’s but considering how amazing Verizon’s coverage is, I’m fine without those two things. And, really, why should I have stuck it out with Sprint? I mean, it’s not like I have some guarantee that Sprint is going to get their act together any time soon. On November 2nd, Sprint stated to Cnet that they are taking the complaints seriously and are working with Apple to resolve the issues. I received my iPhone from Sprint on December 15th and the issues didn’t seem any closer to being resolved as they were when they were first reported. But that’s beyond the point. My service has been deactivated, my phone is on its way back to Sprint and I signed on with Verizon. As for the actual phone, I love my iPhone. 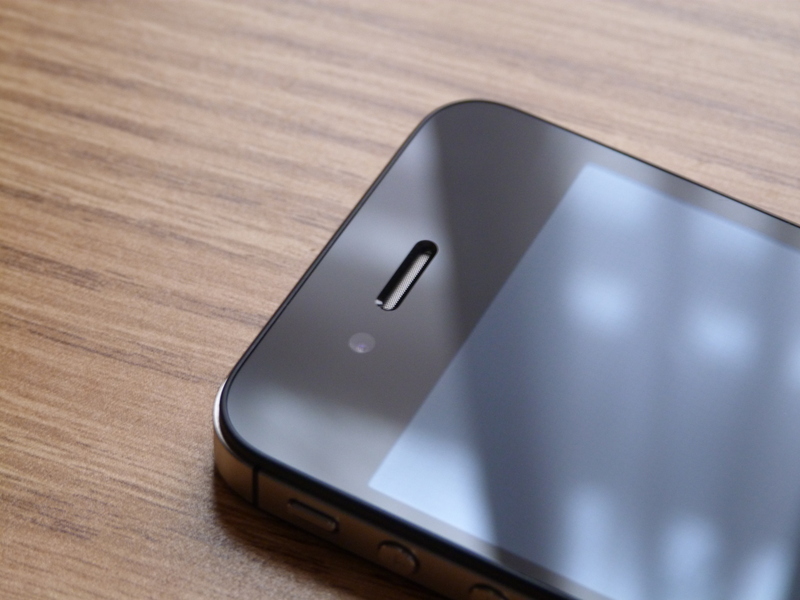 I’ve liked iOS devices since I got my iPod Touch and because of that, the iPhone was a natural upgrade choice for me. Its performance in games and other demanding apps is excellent and the screen is much better than that of my 4th generation iPod Touch, despite the two having an identical resolution. The camera is also quite amazing and I can see what people are saying when they say it could replace a dedicated point and shoot. But, of course, it won’t be replacing my Panasonic DMC-FZ40 super-zoom camera for any serious picture taking. And then there’s Siri. 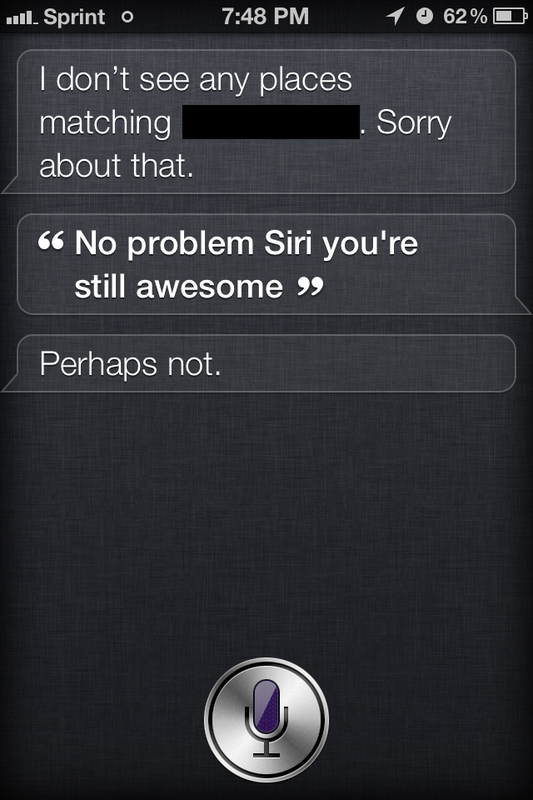 I LOVE Siri. 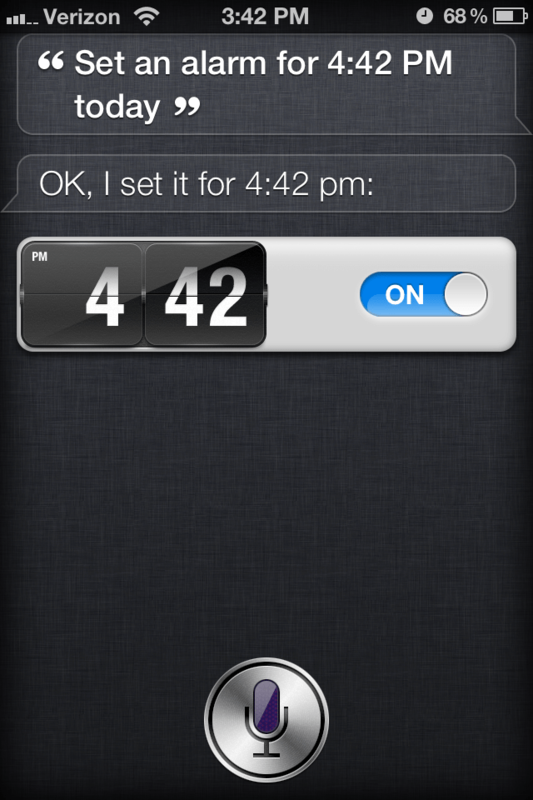 Siri is the kind of thing you don’t know you’ve wanted until you have it. It’s not perfect, but it’s still quite handy to have when I need it. So, all in all, I’m pleased with the performance of the iPhone 4S and despite how much I seriously dislike iTunes, I’m sure I’ll be very happy with this phone going forward. Now, Verizon certainly has some other compelling choices like the newly released Samsung Galaxy Nexus with Ice Cream Sandwich and the Motorola Droid RAZR, with the promise of Ice Cream Sandwich to come, but in the end, I’ve invested quite a bit in the iOS ecosystem so I couldn’t see myself making the switch to Android at this point. At least not entirely. Perhaps at some point down the road I’ll be more compelled to make the jump but at this point in time, I’m sticking with iOS. It’s a little dated but it’s snappy, it’s easy to use and it works. Combined with the ridiculous developer support this OS is seeing and it’s certainly worth standing by. So that’s it, the tale of my two iPhones and the one I parted ways with as quickly as I could. Take my advice. If you’re looking to get an iPhone, DO NOT buy the Sprint version. Not now. Either wait until they improve their network or, do what I did and just go with a better carrier. Sure, Sprint is cheaper (for a reason, obviously) and they offer unlimited data but what good is having unlimited data if it’s too slow to be usable?